Menzel Temime is a small coastal city in the north of Tunisia. They have a young a very active robotics club. I was following their work since they start and I was impressed by their energy. 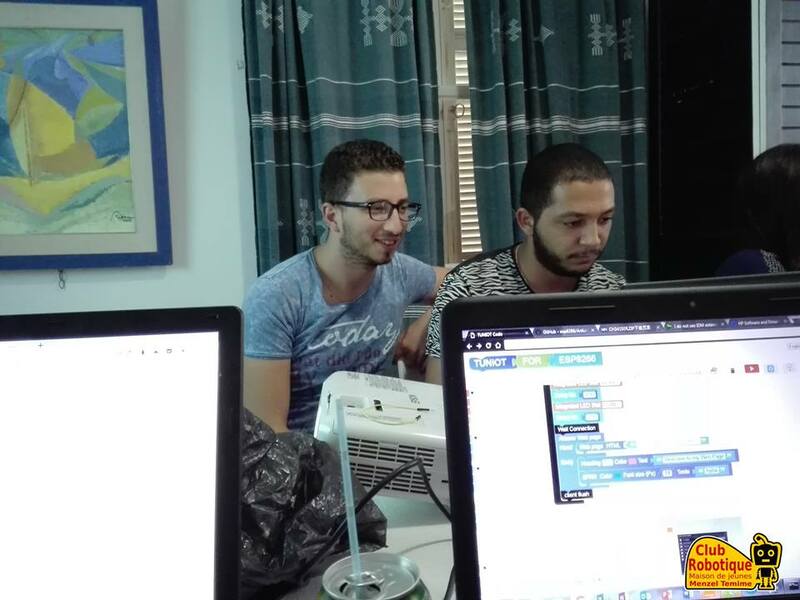 Among their activity, they were offering robotics workshops for kids. I contacted them to make a training on IOT with NODEMCU. 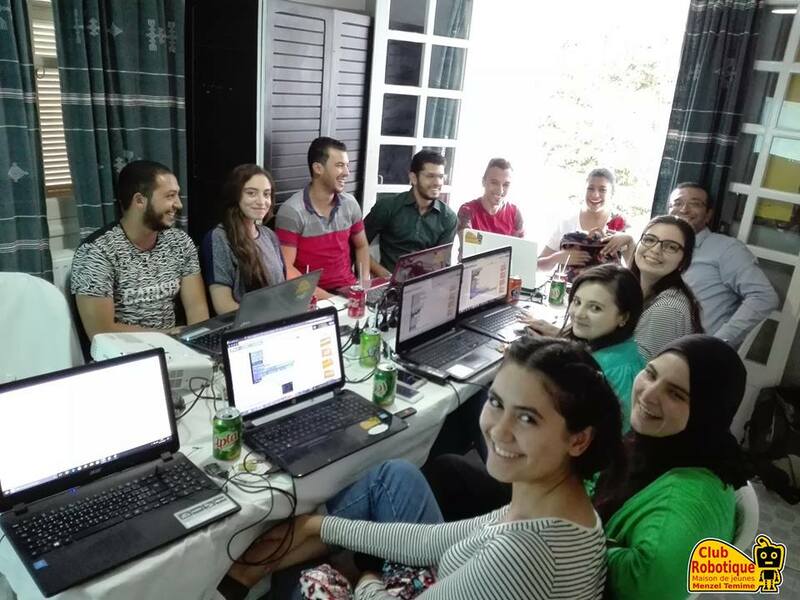 The goal is to democratize this Technology not only in the area of Nabeul, but also in Tunisia. The board NODEMCU or ESP8266 is not known yet. 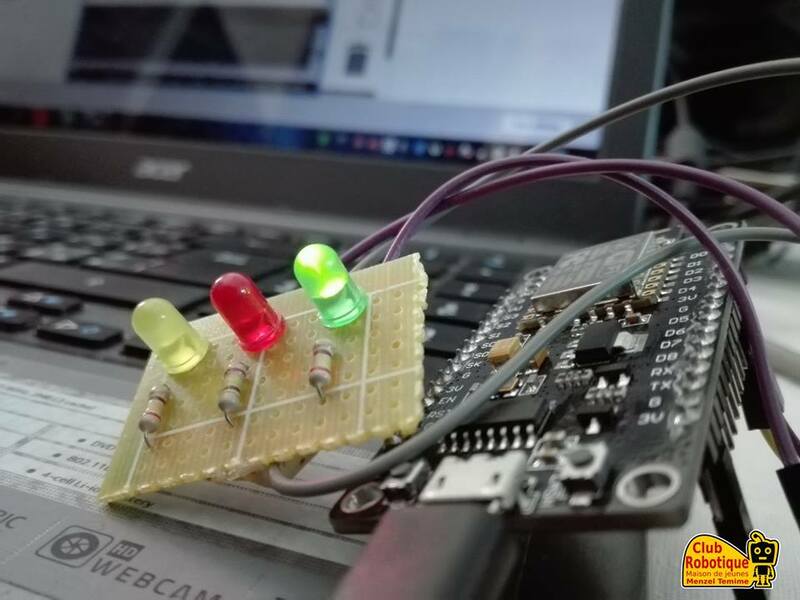 So, making these kind of workshop will help discover better the next generation of connected board. – The event happened in an art gallery in the coastal city of Menzel Temim. An amazing place full of creativity owned by a high-school teacher. 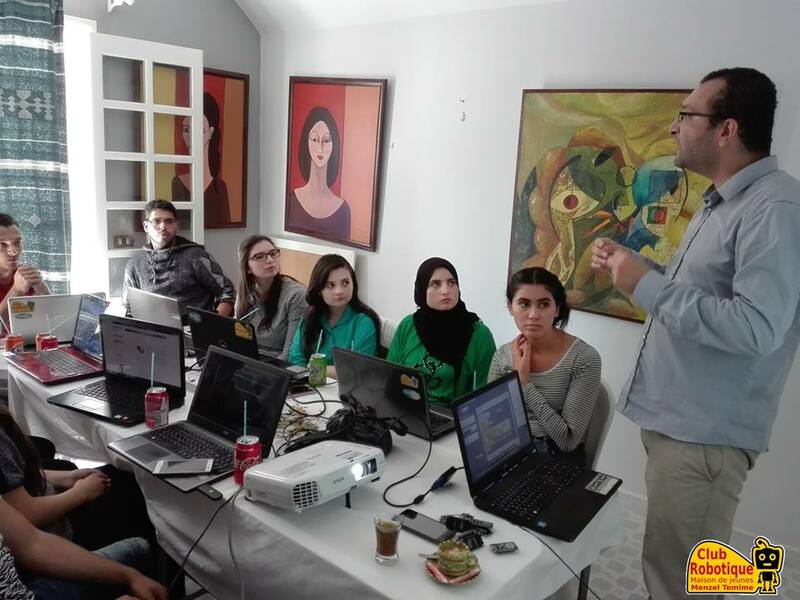 – Most of the members made already training for kids about robotics coding and they are here because the are interested in the topic. – There is no prior obligation to teach what they leaned to the others. But they will do and I am sure about that. – No press to cover our activity but I am sure that a lot of youth will benefit from the training later. – The soldering of the shields was made by different engineer throughout Tunisia. – The trainer (who is me!) was lodged in a house 5 meters far from the beach. I asked for any thing and I got that. – No coffee break. Just code and drink your coffee. – IOT is a new trend in technology. I saw very few workshops around the world about that. We need to spread this fast.